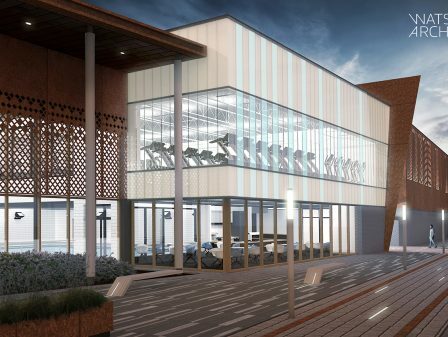 An £11m leisure centre for Newark & Sherwood District Council. 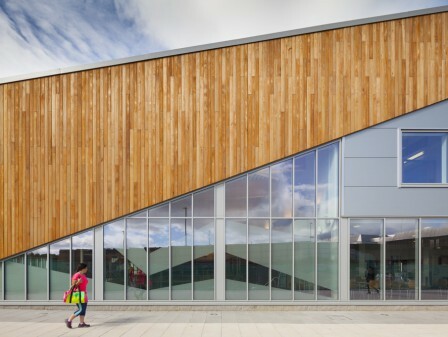 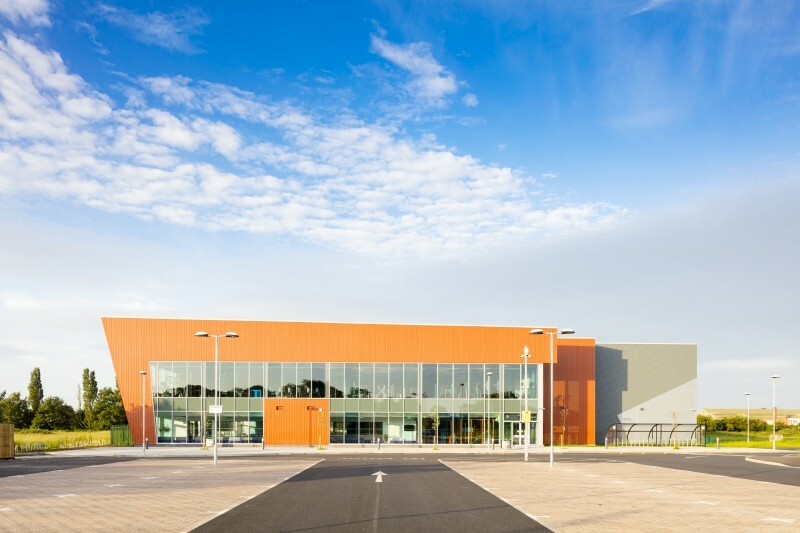 Newark Leisure Centre includes; a six lane 25m main pool, an 8.5 x 20m teaching pool with water features, a four-court sports hall, a 200-station fitness suite, 2 squash courts with moveable wall, 2 exercise studios and ancillary accommodation including on-site parking and landscape works. 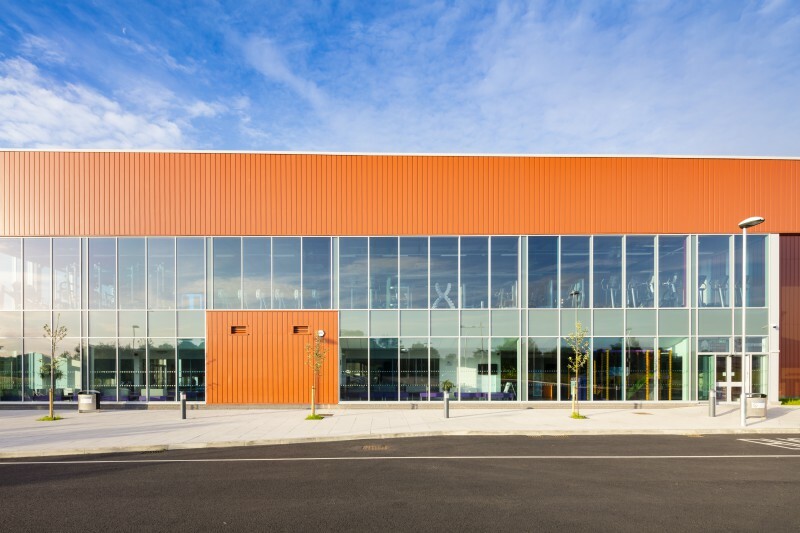 The new leisure centre is part of a mixed use development on Bowbridge Road, Newark including a sports hub and 115 housing units. 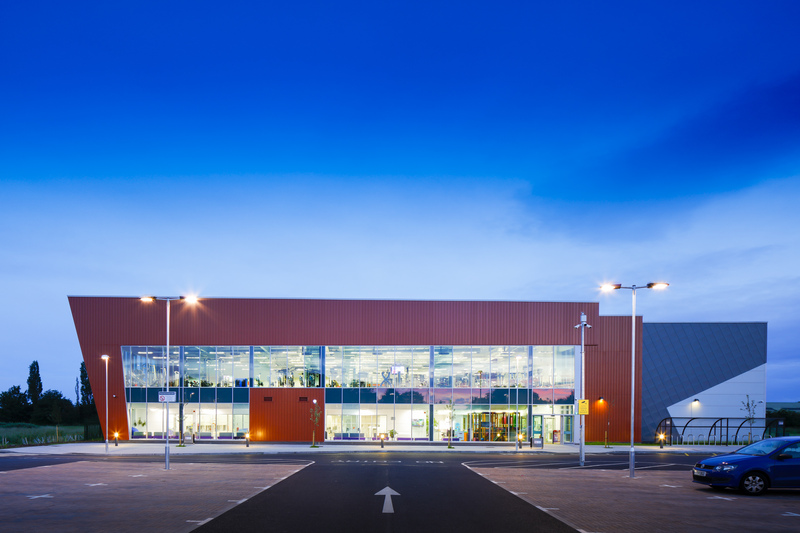 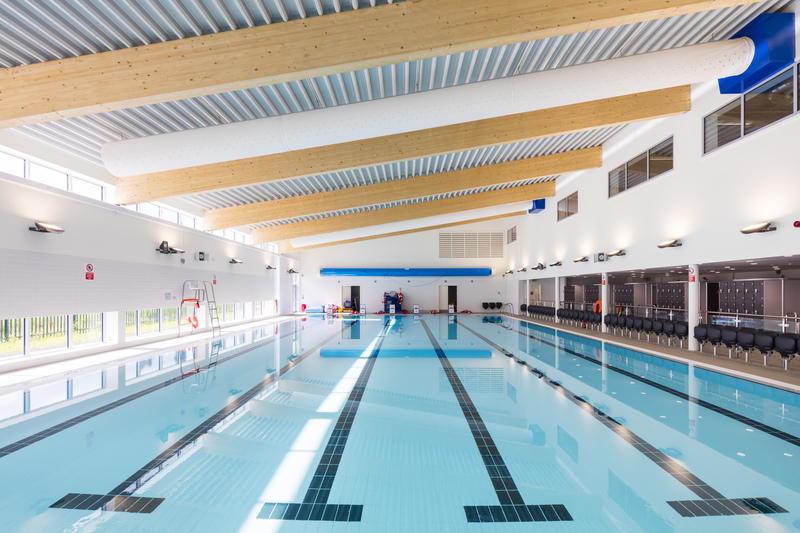 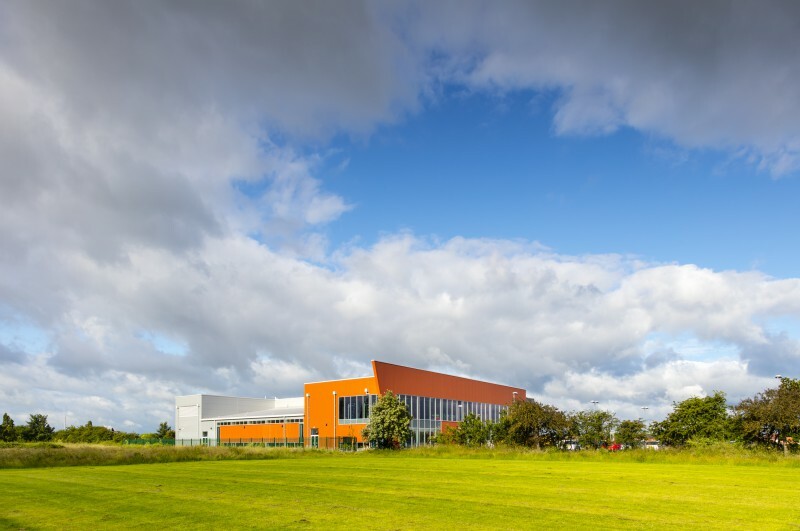 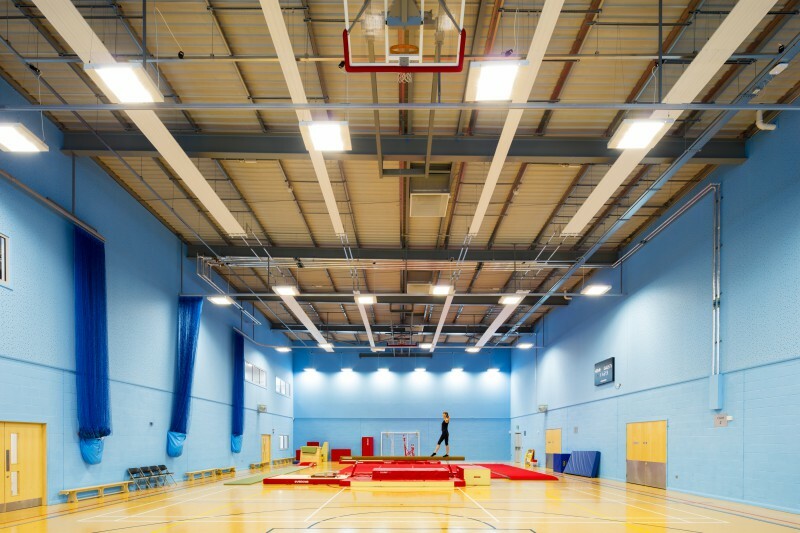 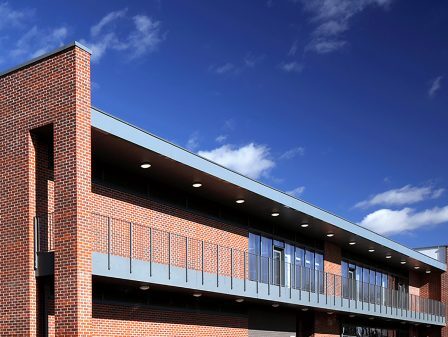 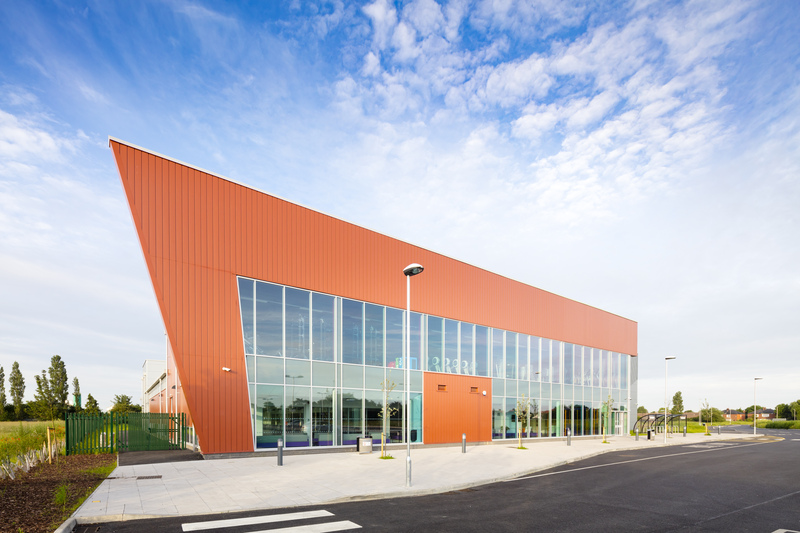 Commissioned for the design of the project from development of the brief (RIBA Stage 0) we assisted Newark & Sherwood District Council in the creation of an ambitious Local Authority operated leisure centre. 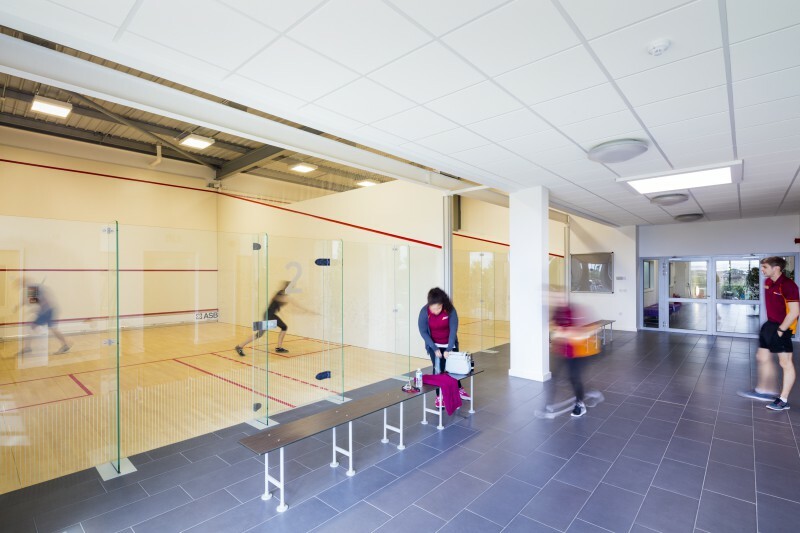 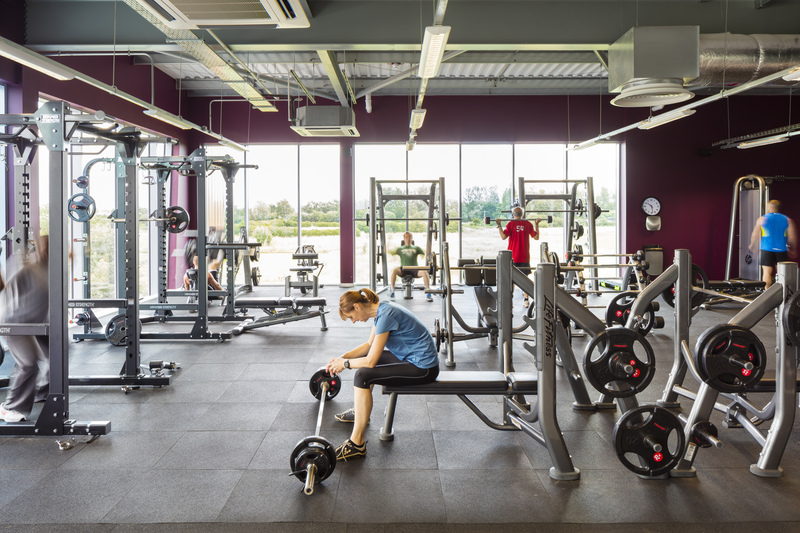 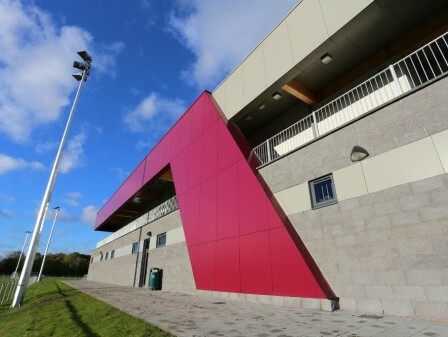 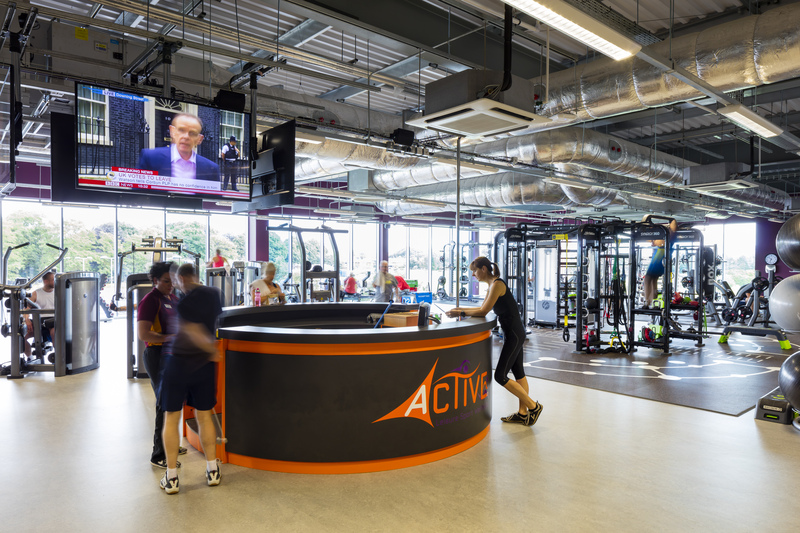 The centre creates a compact and effective facility that reflects the client’s modern approach to sport and leisure delivery. 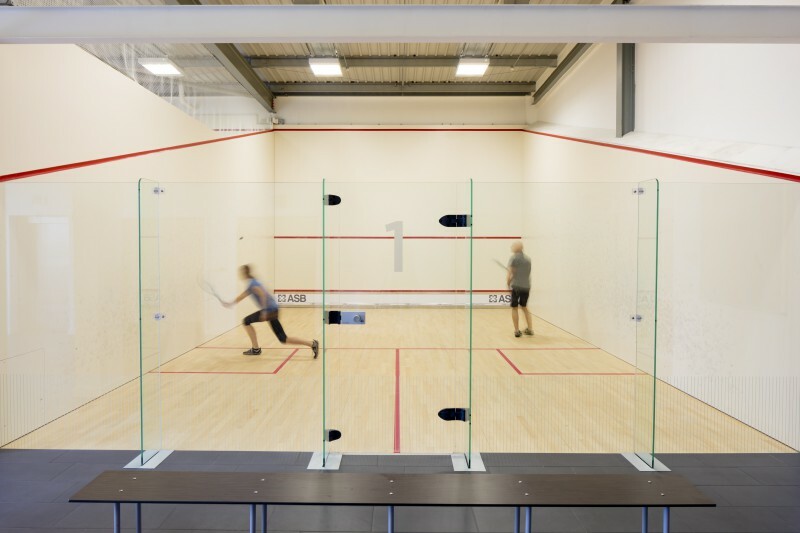 The design establishes a safe, welcoming and comfortable environment aimed at increasing participation in a wide variety of indoor sport and leisure activities. 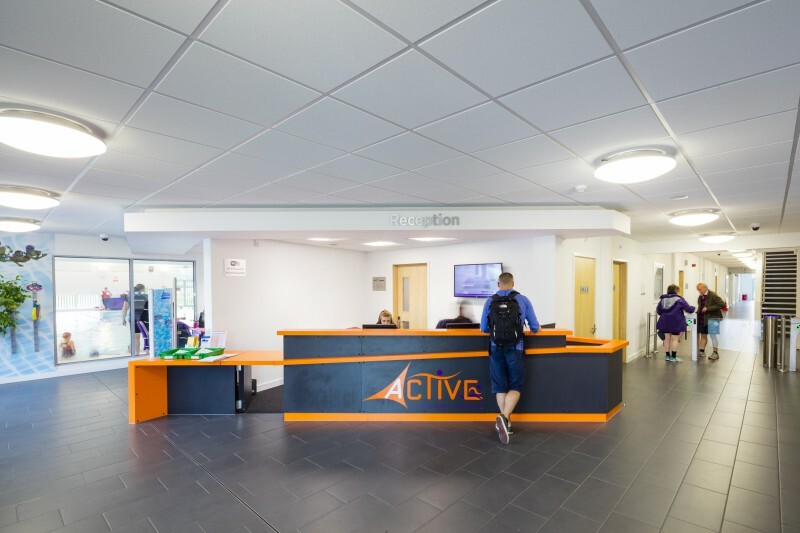 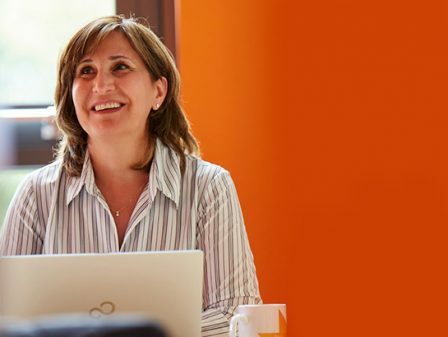 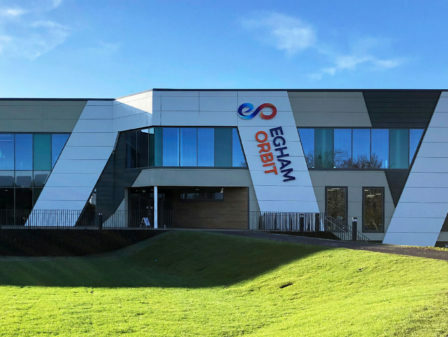 The main facilities within the building are linked to the main concourse creating an open and transparent environment making it easy to supervise and manage from the main reception and providing natural surveillance to the external areas.